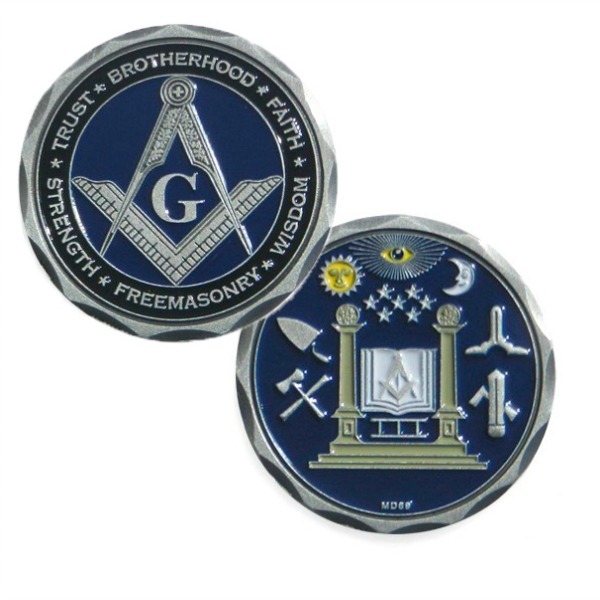 MotorDog69 designed and built this coin for Free Masons worldwide. The obverse has a beautiful scalloped diamond cut edge, and displays the Masonic Compass and Square. The reverse shows the Seven Working Tools of Masonry. Thank you for your dedication to the Brotherhood!